In the Season 1 finale, Carly answers questions about her new book, Find Your Way: Unleash Your Power and Highest Potential, asked by By Example producer Eric Pahls. Carly sits down with hall of fame Coach Tony Dungy, to talk about lessons he’s learned from his mother, and the SOUL of a team. Carly sits down with retired Highway Patrolman, Capt. Ron Johnson, who was tasked by Gov. Jay Nixon to control and defuse riots in Ferguson, MO, after the death of Michael Brown. Adam Grant, professor at the Wharton School of the University of Pennsylvania specializing in organizational psychology, sits down with Carly. He talks about the importance of problem-raising for problem-solving, how to be an original, and creating an organizational culture around leadership. Kayla McKeon, America's first registered lobbyist with Down Syndrome, sits down with Carly and National Down Syndrome Society President and CEO Sara Hart Weir. She talks about her upbringing, career and her view of leadership. As Carly says, she's one of the brightest leadership minds you'll ever hear! Ep. 13: Arthur Books on how to "Love Your Enemies"
Arthur Brooks, author of the brand new Love Your Enemies and President of the American Enterprise Institute, sits down with Carly to talk about the importance of "disagreeing better," finding happiness and making sure to approach even political adversaries with love and respect. Ep. 12: Ask Me Anything! Carly Fiorina takes audience-submitted questions for the entire episode! Carly Fiorina sits down with colleagues Marlo Thomas Watson and Jeffrey DeShawn Richardson after the disturbing headlines about political figures in Virginia to talk about race, diversity, and the opportunity in "otherness." Carly sits down to talk with Unlocking Potential CEO Casey Enders to talk about one of her most intimidating, informative and entertaining life lessons. This story and much more will be featured in her new book, Find Your Way, out April 9, 2019! 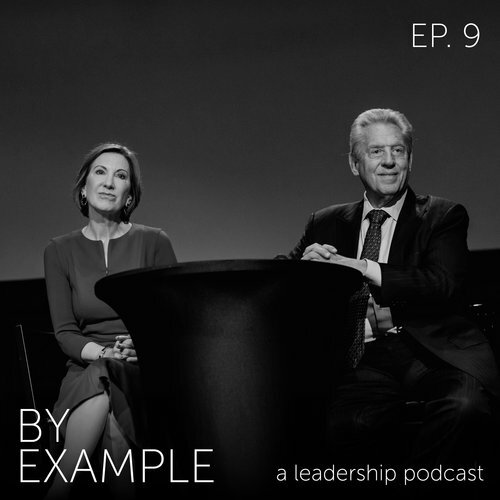 Carly sits down with leadership guru John Maxwell for Part 1 of a 3-part discussion on leadership, their stories, and values leaders must keep in mind. President of the University of Louisville Neeli Bendapudi joined Carly for a conversation about leadership, collaboration, how to build empathy, and how to inspire in the midst of tough circumstances. Carly Fiorina sits down with former Canadian Prime Minister Stephen Harper to talk about his new book, his view of leadership in public service, balance, and what truly makes someone a leader. Carly sits down with Lt. Col. Justin Constantine to discuss his injury, recovery, the lessons he learned and how he uses his experience to lift others up. Former Presidential Nominee and Senate Majority Leader Bob Dole sits down with Carly Fiorina to talk about his life, career, humor, role models and why at 95 years old, he still serves others. Television anchor and “Me Too” activist Gretchen Carlson talks about her experience with sexual harassment and assault, the importance of a plan, the role of bystanders, and how her brave “jump off a cliff” helped launch a movement. Jay Bilas, Duke basketball alum ESPN broadcaster, shares his perspective on teamwork and toughness. 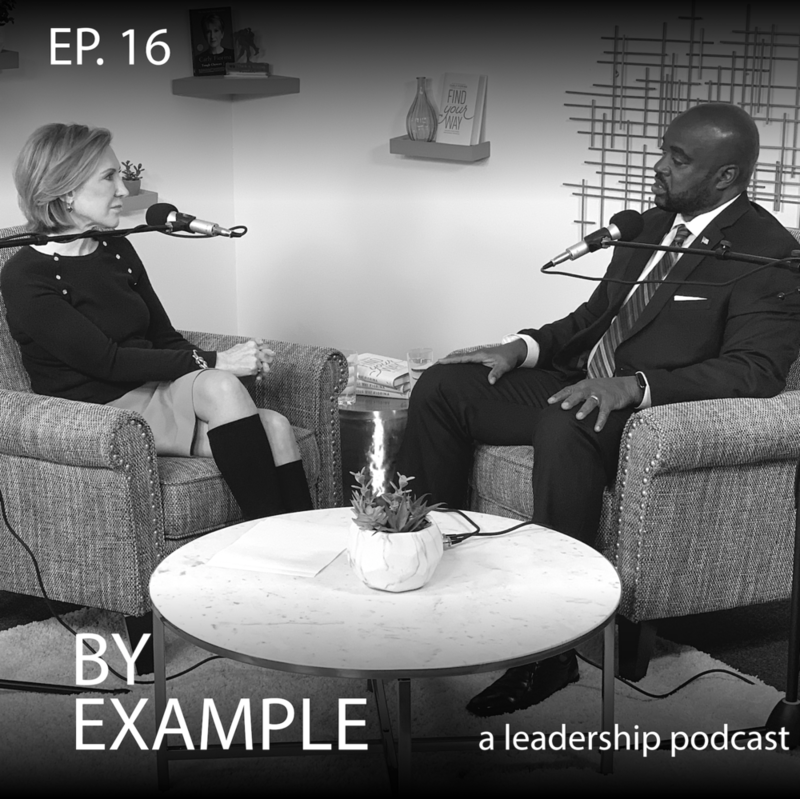 This conversation covers two seemingly different pieces of the leadership puzzle: toughness and empathy. Former Secretary of State and retired four-star general, Colin Powell, sits down with Carly for a conversation about his experience in leadership, and how his “long run of mediocrity” led him to become one of America’s most widely-respected leaders. Two-time NBA All-Star Baron Davis and Drew League Founder Dino Smiley join Carly for a conversation about how Baron became the “Dream King,” and how Dino is using basketball to save lives. SUBSCRIBE to By Example in your favorite podcast app. NEW EPISODES are released weekly every Tuesday.